On many occasions we all tend to forget certain things. It’s a human flaw and we can’t help it. You don’t want to forget, but you just do! Sometimes we forget supplies, books, homework, keys, our kids, chores, etc. The list can go on and on. But, fortunately there are many ways to reduce forgetfulness. Lists are a great way to compile all the things needed to be done. Whether its a To Do list or a Supplies list, lists will always help you remember what’s needed. 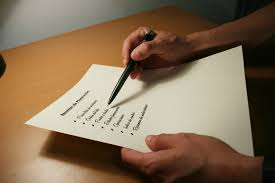 Spend some time to make a checklist on an index card of all the things that are needed or need to be done. This is a great way to have all the things in front of you and to not worry about forgetting. Also, it’s a great feeling to have a list of things that have all been done and checked off at the end of the day. You just feel much more productive. Planning prior leads to forgetting not to forget. As crazy as that sounds, it’s true! Imagine rushing in the morning, getting all your stuff together, and going through your head what you need to do. It’s bound that you forget something in all that mess. Planning the night prior allows a more calm mind to mentally run through everything that’s needed. Chance does favor the prepared mind. If you are prepared, you’re good to go. If you are rushing, there’s a good chance you are going to leave something out. Set your supplies out the day before. This way, you can just grab all your stuff the next day when you’re ready to go instead of running around your house looking for your things. As surprising as it may seem, foods can affect how you operate. 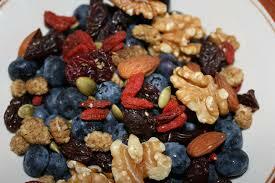 Eating foods like blueberries, walnuts, and almonds give your body good nutrition. These quick snacks provide a chemical called melatonin, that improves brain function. Green Tea is also said to maintain good brain health. This keeps your brain more active and always thinking. You may think exercising has absolutely nothing to do with how your brain works with memory. Turns out, you’re wrong. Scientists have discovered that the body and the brain are connected. The motor neurons are also associated with your brain. 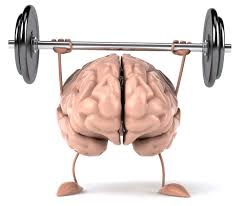 Putting in some time to stay active will improve your brain believe it or not. It will increase the blood flow to your brain which will help out with the cells to replenish them thus, making you smarter and less forgetful. As hopeless as you may think you are when it comes to memorizing ordinary things, you aren’t alone and as you can see, their are many ways to improve upon being forgetful. Everyone is bound to forget. Minimize your chances by just making the slightest and easiest changes in your lifestyle. This way, your chances of possibly losing a luggage worth thousands of dollars, if you will, become very low. This entry was posted on October 3, 2014 by justininspireface. It was filed under Blog and was tagged with #ideafm, cure to forgetting, forgetfulness, forgetting, healthy lifestyle, help, lifestyle, lists, remidies, tips and tricks, tips for forgetting. I really enjoyed how you gave specific steps Justininspireface and I would love to hear your advice on other day to day problems like this.